Thousands of accounts dormant for five decades have been reportedly discovered in Switzerland. A new Swiss law requires banks to publish information this year on accounts that were opened 60 years ago and have been unclaimed since then. A spokeswoman for the Swiss Bankers Association (SBA) says the accounts in question - several thousand of them - were from both Swiss and foreign customers. It is said that they were "neither in time nor geographically associated with Nazism," AFP said. The original report was run by Die Welt am Sonntag German newspaper on Sunday. 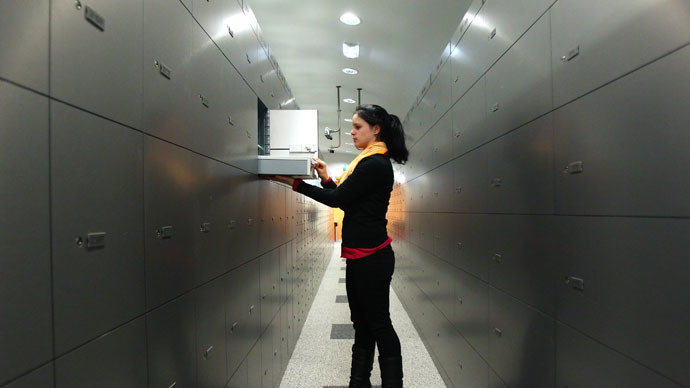 Unclaimed accounts became a highly sensitive topic in Switzerland after the World Jewish Congress launched a campaign in 1995 for Swiss banks to return the assets of Holocaust victims. At least one suspicious account has been reportedly tracked down so far, according to Die Welt am Sonntag. It was opened by a German back in 1940 and contains over 1,000 Swiss francs. The tradition of secrecy laws under which Swiss banks keep the identity of their clients hidden has also come under fire amid allegations of helping tax evaders. According to the spokesman, the new data is important for the banks since it allows them "to search widely for beneficiaries of the unclaimed wealth before the money is handed over to the government." Banks will have to try and find contacts for the unclaimed accounts with deposits of over 500 Swiss francs ($533).